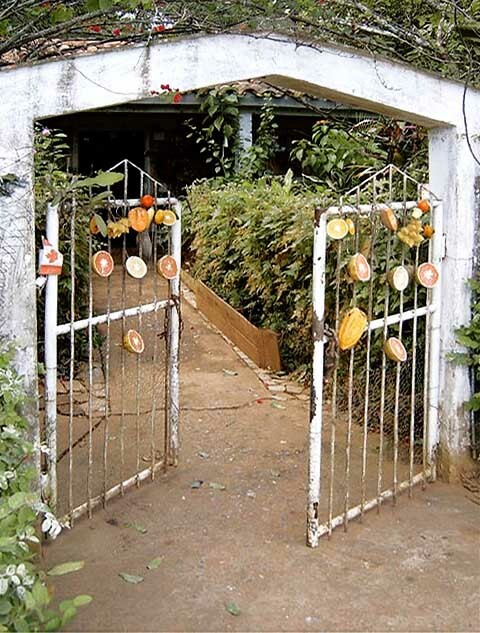 What to do in and around Vinales village? 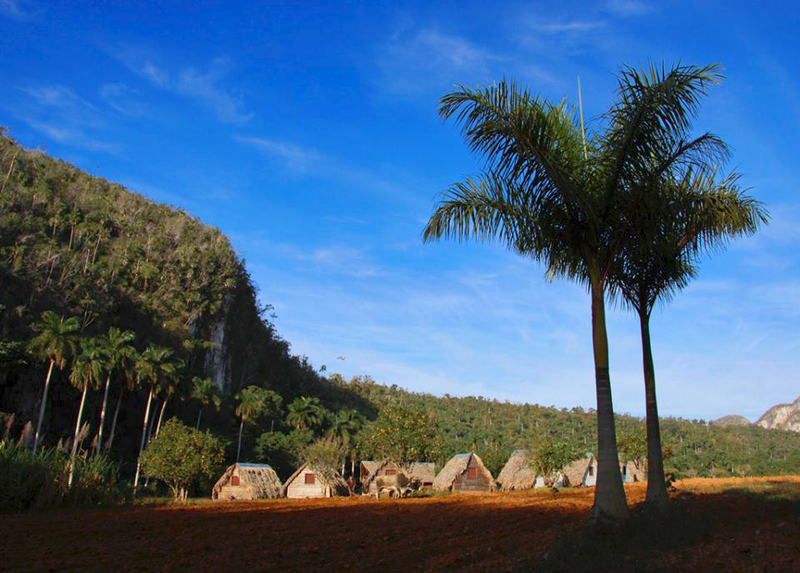 In and around Vinales there are many fun and interesting things to do. Visit a farm, roast a pig, hike through nature or just sit on a porch watching the local life. Vinales is beautiful. A small art gallery and organise cultural activities. It also sells some souvenirs. The Cueva the Indio is a cave in which you can sail of over a small underground river for about 400 meters. Nice artificial lamps and souvenir salesmen. It was here that the Guanajatabey Indians built their primitive homes in caves hollowed out of the limestone mogotes, where relics of this nomadic people have been found along with fossils of Pleistocene mammals embedded in the rock. Deep inside the caves, albino fish swim and butterfly bats flit. 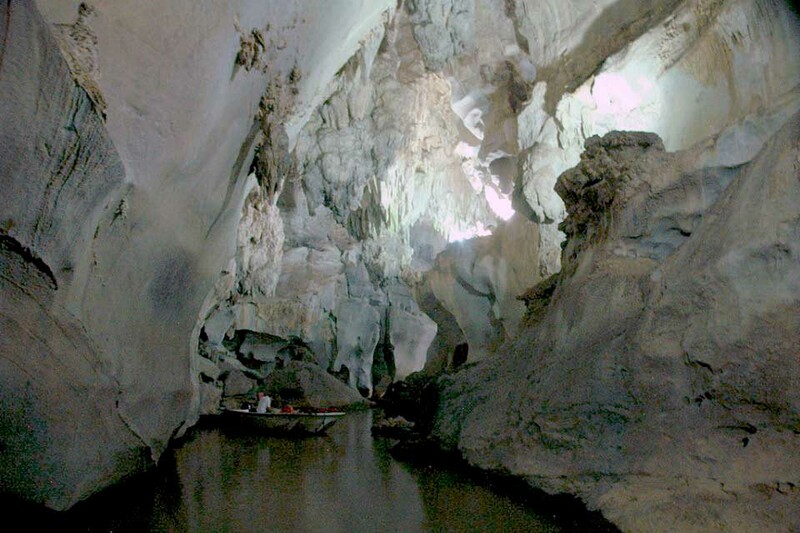 Some caverns, such as the Cueva del Indio, rediscovered in 1920, have close to four kilometres of underground streams which can be explored in a small dinghy so long as you don't mind listening to all the scary tales the peasant guides love to recount. As the streams slowly work through the limestone and mix with the mojote clay falling from above, they become solutions of minerals and coppery earth, both of which are then deposited on the roofs and walls of the caves, turning the surfaces ochre milky green, rendering the scenery all the more mysterious. Check out our Viñales tours and excursion page. 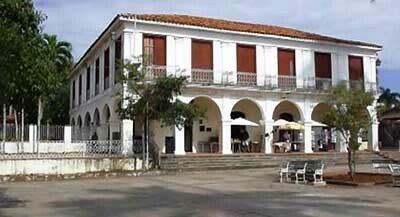 Vinales does not have many restaurants except Don Tomas, most people eat in their casas or at the hotel. It's big, but this attraction can't quite cut it as kitsch, is decidedly uninteresting as art, woefully inadequate as narrative, and just not impressive enough in execution to merit all the attention. Despite some fresh paint, which restored, and even improved on, the vibrant colors of artist Leovigildo González Morillo's original work, this massive mural lacks the style and weight of the works of his mentor, Diego Rivera. The mural is located 4km (2 1/2 miles) west of Viñales and is open daily from 11am to 5pm. The $1 admission is waived if you eat at the Rumbos-run restaurant on-site. It also offers hiking and tours information.